Did you misplace your car keys somewhere? Or do you just need a backup key so you can share your car with family and friends? You can get affordable keys cut from our experienced automotive locksmiths at very affordable prices in Clearwater, FL area. Our key cutting for car service is fast, affordable, and trustworthy. We have been crafting keys for local vehicle owners for that past several years. Every key we make is of the highest quality and will stand the test of time. Transponder keys: These are found in modern cars. They have to be specially programmed by computerized equipment. We can create transponder keys or smart keys for you quickly and cheaply. We can also replace a fallen off fob on a transponder key. Standard keys: These are found in old vehicles. They don’t have any kind of chip on them and are simple mechanical variants. You can get these from us at pocket-friendly rates. Car keys with remote control: We can also make variants with a remote fob (which is also on transponder keys). We’ll reprogram a new remote to work with your car. Our key cutting for car service is the best in business. 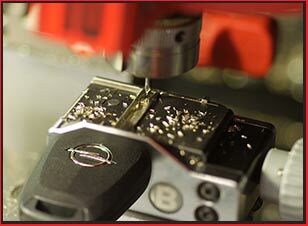 Any key you get crafted from us will not only be precision-engineered, but also hand finished. What does that mean? When a key is cut by a machine, it may have rough edges that can harm the car’s locks when you insert it into them. With hand finishing, the rough edges are smoothed. We also ensure that there are no defects in the key – we will double and triple check a key before handing it to you. You can hire our key cutting for car service 24 hours a day and 7 days a week. We are available in all areas of Clearwater and beyond – our mobile vans allow us to reach most destinations nearby in as little as 30 minutes. Our expert engineers can craft new ones in a handful of minutes. Engage our reliable service on 813-703-8189 !